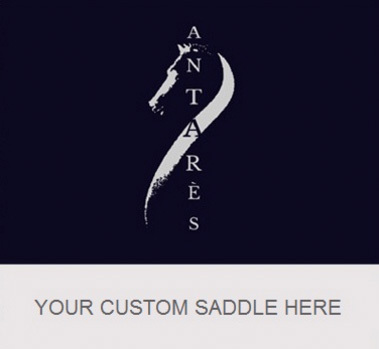 2015 Antares pony jumping saddle in EXCELLENT condition. Dark brown, French grain leather, for exceptional durability. Even the tinniest of riders will sink right into the flaps. Super soft and comfortable seat. 15.5" deep seat with a regular twist measures true to size. Flap 0D measures 12.5" from the top of the stirrup bar to the bottom of the flap and 12.5" across at its widest point. Tree measures 5" from dot-to-dot under the pommel. Stamped "AO" for wide tree. Standard thin panels, allowing a broader horse fit. 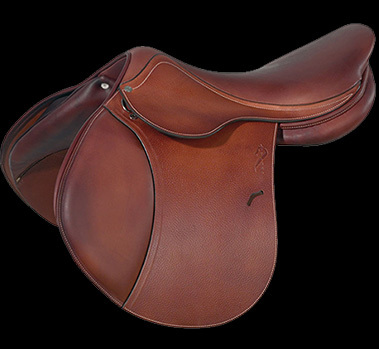 Take this saddle on trial, simply click ADD TO CART, PROCEED TO CHECKOUT, and purchase. Your trial will begin the day you receive your saddle. Please refer to our Trial and Return Policy page for details. Thank you! This saddle comes with a saddle cover.